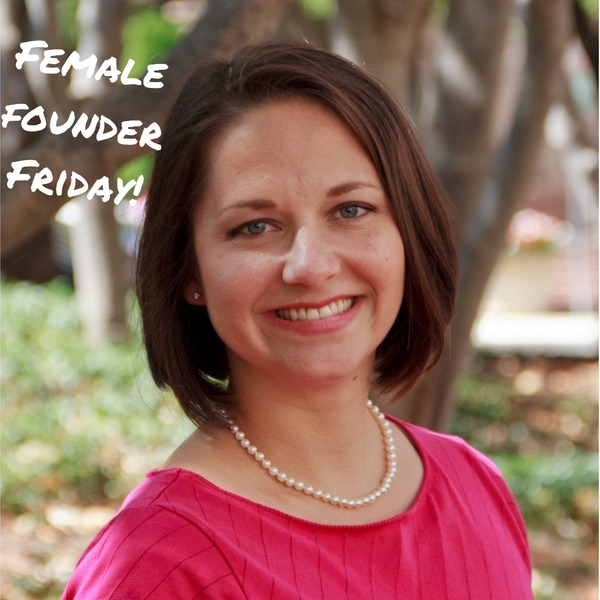 It’s the first Female Founder Friday in December, and I am delighted to spotlight another amazing woman entrepreneur! Meet Cady North, the founder of North Financial Advisors, a boutique, fee-only financial planning firm that specializes in helping women find more financial freedom in their lives. If you’re like many of her clients, you probably have several competing personal financial goals and priorities. Maybe you want to start a business one day, but you’d also like to spend some time traveling. Cady works with you to further define and rank your goals and create a plan to get there, encouraging you every step of the way. Below are Cady’s answers to my questions about her company and her life as a woman entrepreneur. Get ready to be inspired! My “one day” goal was to change the fact that financial literacy isn’t taught enough in schools at any level and create ways to make finances less scary, boring, and difficult for people. I never thought I could make money doing it. I envisioned being a public speaker and doing this work on the side later in life once I had already made my money and retired. However, after spending some time bouncing my ideas off colleagues, I saw this was a real issue for many of my female peers who were already highly successful in their fields. I realized this was a passion that I could turn into a business. I also realized I could start now, it didn’t have to be later! It’s exciting to help people with their unique financial needs. There are a lot of people out there who want to start a side business or become entrepreneurs but need financial coaching to get there. Now, part of my job is helping my clients figure out ways to move up their “one day” goals to the present through smart financial planning, just like I moved up my “one day” goal. I come from a family of entrepreneurs and learned to balance a business checkbook at the age of 13. You’d think that would’ve insulated me from some of the normal hiccups in starting a business. But nope, my biggest obstacle was myself in a lot of ways. I spent my first six months of planning overworking myself almost to the point of burnout. There was always SOMETHING to do. But just because I was always working didn’t mean I was always productive. It took some time to discern when my efforts were going to yield some results and when I was probably wasting time or needlessly worrying. There’s still a lot of trial and error going on in this area, but I have managed to achieve more balance and use my time more effectively. I like this idea of being a human being rather than a “human doing.” And it’s important for me to build in space to do more creative thinking. A lot of people define success, especially in business, by profits and growth rates. For me, I want to get to a place where I’m giving back at least 20% of my time doing pro-bono work serving my local community. That includes providing more free public talks and free one-on-one coaching with those who need it most. I want to work toward being my best self personally and professionally, just as I help coach my clients to be their best selves. Dream big for yourself! It’s sounds cliche, but it’s very easy to confine yourself to what you think is reasonable, and miss out on a ton of opportunity. As women we tend to be very practical, especially as it relates to our careers and home life. That’s why I always recommend setting some stretch goals for yourself. Asking for help with this can be game changing. Our friends, our teams, our support networks can help encourage us to dream a little, widen our options, and put us in touch with others who can help us succeed. You don’t have to do it alone.